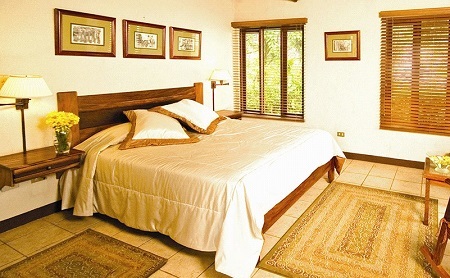 GREENTIQUE HOTEL - Villa Blanca Cloud Forest Hotel & Nature Reserve in Costa Rica! Bid Per Room Per Night and Choose Your Length of Stay! A myriad of brilliant Costa Rica experiences awaits you as a guest of Greentique Hotels. Each of our distinctive, boutique hotels and resorts are family friendly, but offer the privacy, intimacy, and adventure that friends, couples, and travelers of all ages seek. So let us guide you through our unique hotels, their award-winning restaurants, custom tours, and amazing array of activities. Our gracious, personalized service makes Greentique Hotels the most extraordinary way to experience this most extraordinary land. Travel well and travel right with Greentique. 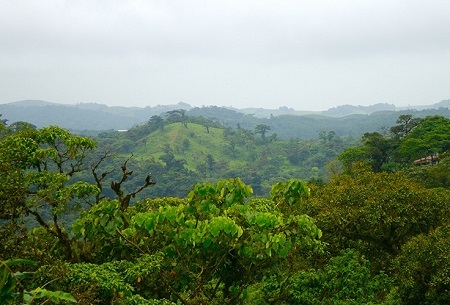 Discover a Costa Rica you never imagined existed. Set amidst the mesmerizing, awe-inspiring beauty of the Los Angeles Private Cloud Forest Reserve near San Ramón, the Villa Blanca Cloud Forest Hotel & Nature Reserve offers one of the most extraordinary guest experiences available in all of Costa Rica. A foray into even the fringes of this rare and fragile tropical forest consistently stirs the emotions and consciousness of our guests. From the rolling green pastures on the approach, to the layers of exotic trees literally dripping with life that border the hotel, you’ll delight in this homage to early 19th-century village life in Costa Rica’s Central Highlands. Individual casitas, featuring wood-burning fireplaces and garden terraces and patios, create an intimate and peaceful ambiance that is a welcomed respite from the world you left behind. The selection of personalized Greentique Tours includes daylight and nighttime cloud forest excursions, Arenal and Poás volcano trips, birding, and discovery journeys to the coffee regions and cultural areas in and around San Ramón, the City of Poets. Villa Blanca’s El Sendero Restaurant is a celebrated destination for superb regional fare, fine wine, and superior service. It’s an extraordinary dining experience right on the edge of the cloud forest. Private, peaceful, and personalized to your taste, Villa Blanca immerses you in a Costa Rica you never imagined existed. Offer is based on single or double occupancy in a Deluxe Casita. Tax and service charges are $49.oo per room per night additional. Stay a minimum of 1 Night and up to 9 Nights as desired and based on availability.